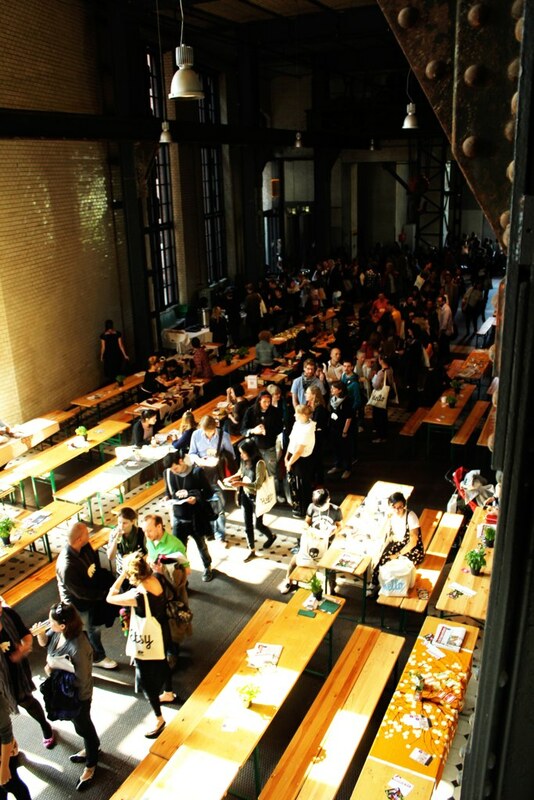 I didn’t really need an excuse to visit Berlin but I decided to make one anyway by attending Hello Etsy, a summit for small business and sustainability, last weekend. 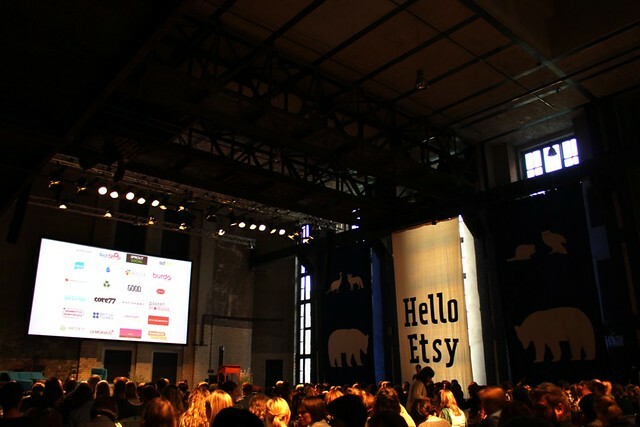 It was Etsy’s first go at an event like this and other than the insane lines for the elevators, the entire summit went off without a glitch. Since I used to run a shop on Etsy and am currently planning for another web store (off Etsy), it seemed like the perfect opportunity to get my creative and business ideas flowing again. 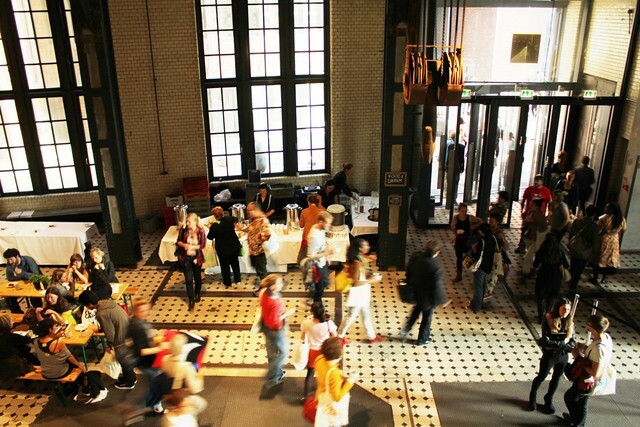 The two-day event was held at ewerk, Germany’s oldest preserved power plant, built in 1885; it was so so so cool. The entire event had a very relaxed feel which was nice and extremely conducive to meeting new people from all around the world (hello to anyone who I met and is reading this now!). 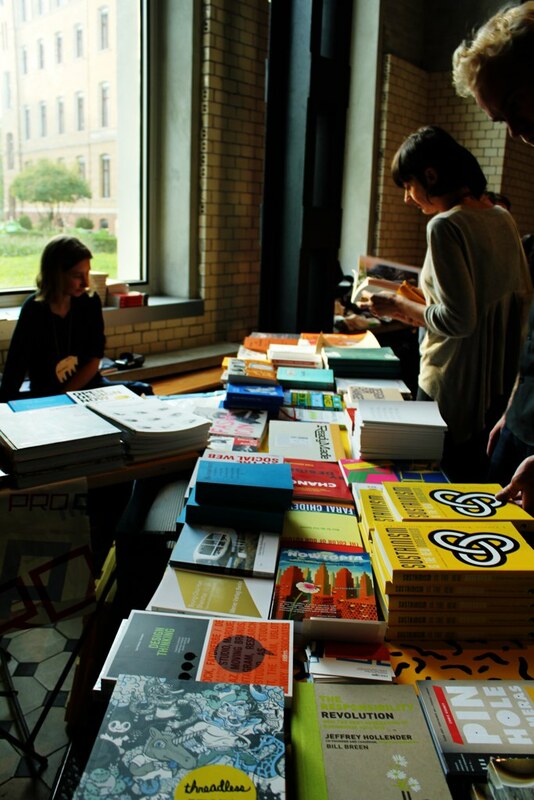 Between sessions ranging from Finding Your Courage to Understanding Google Analytics and Secrets to Good PR, there were sewing stations sponsored by Marimekko, lots of drinks and snacks, and a pop-up book store with plenty of inspirational books to flip through. My favorite goodies came from Moo who gave out free customized business cards – how nice, right? 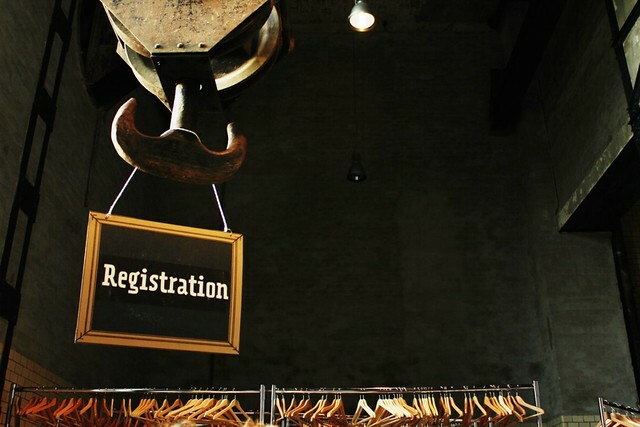 The entire experience was all about exchanges – be it free products to help you get your name out or speakers sharing their stories and tricks of the trade. Everyone there had something to offer and truly believed that you can make a living working your passion and doing something creatively. Whether doing it solo or with a team – anything is possible. 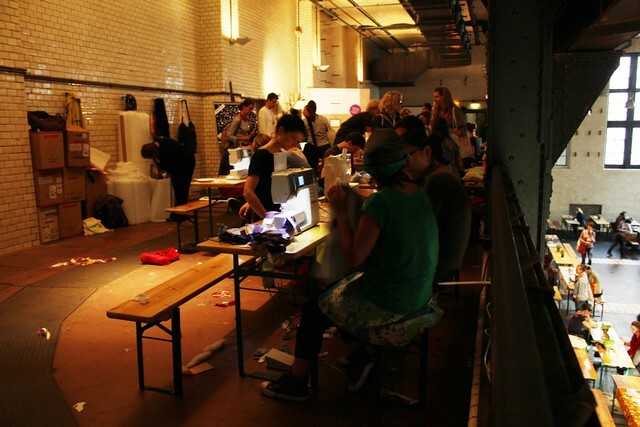 A big Thank You to Etsy, the speakers, and everyone involved in creating the event – a job well done! 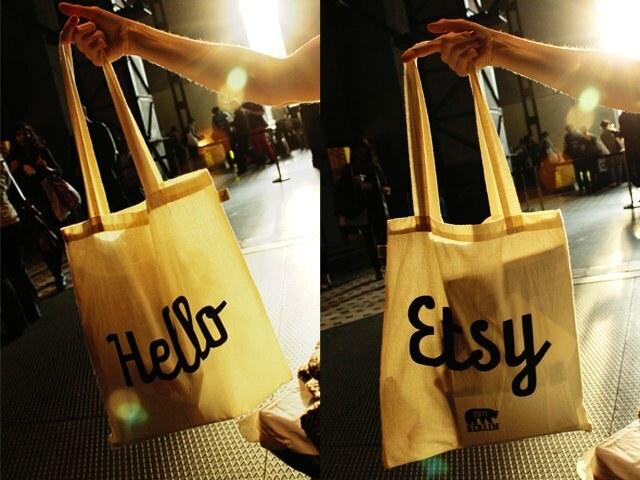 This entry was posted in to share and tagged berlin, etsy, ewerk, germany, hello etsy, hello etsy summit, marimekko, moo, small business and sustainability by anamublog. Bookmark the permalink. I’m commenting! Really wish I could have been there (un)fortunately I was visiting my family in the States and missed all the fun! Maybe next year? Looks like it was a great event! Sounds like you had an amazing time. Wish I could have been there! What a great way of sharing some wisdom. Would have been really interesting to visit Berlin and get some knowledge too. I have so many ideas at the moment it would be great to have some time to just sit and put them all together and be more organised. I want that handbook for my business! haha.. And I miss you! I have to say your post made me so jelous! I wIish I could have been there! Lovely photos by the way….